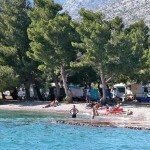 Alan Bluesun camp Paklenica is a part of the Bluesun hotel Alan resort. 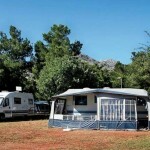 It’s a fairly small but beautiful campsite, located only 2km from the wonderful Paklenica national park. 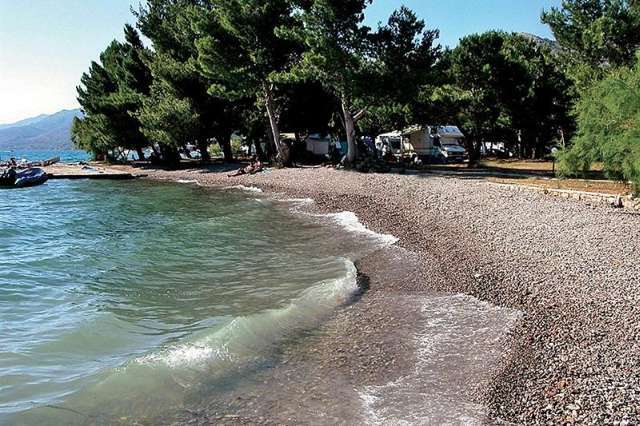 Close to the camp you’ll also find the famous grey cliffs of Velebit, which hang over the kilometre-long beaches. 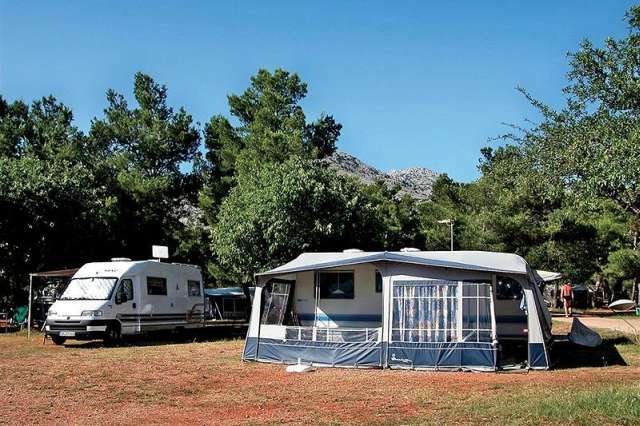 During high season the camp accommodates up to 500 people on 200 tent and caravan pitches. The hotels amenities are also available for camp guests, such as the top modern (and award-winning) wellness centre, pool, restaurant, sport facilities and entertainments. 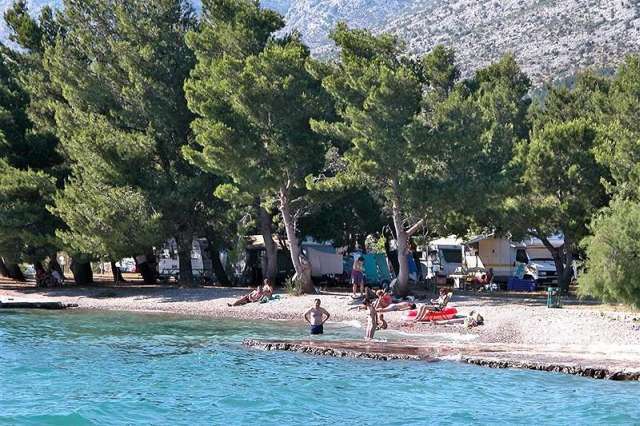 The camp is very close to a nice pebble beach, where you can swim or rent a boat or canoe and make your own excursions in the near area. Pets are allowed in the camp. Other facilities: Bank, gas station and pharmacy can be found in the near area. The hotel has an extensive wellness centre that stretches over 1000m2; 800m2 indoors and 200m2 in the Mediterranean garden. 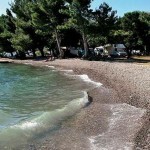 The camp guests can also use the hotels Tennis- and mini-golf courts, rent beach canoes or small boats, play beach-volleyball or football. Paklenica national park (distance 2km). The Alan hotel tourist agency offers day-trips to the national park and other cultural sights in the area.